At Landers McLarty Toyota in Fayetteville, TN, we know that minivans are some of the most versatile and usable vehicles on the road today. At our dealership, we’re delighted to have a large selection of the 2015 Toyota Sienna in stock for you to explore. As one of the state’s top-rated Toyota dealerships, we serve Huntsville, Columbia and Murfreesboro, TN with great prices on all vehicles. Stop by our dealership at 2970 Huntsville Highway and experience the new Sienna today. Minivans are some of the most popular vehicles on the road today. 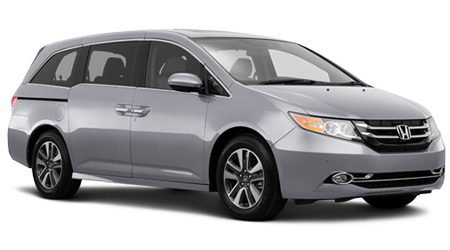 So let’s pit the 2015 Toyota Sienna against the Honda Odyssey and see how it does. Unlike conventional minivans, modern ones are the perfect do-it-all vehicle. However, if you’re looking for a minivan that gets you the best bang for your buck, then the new Sienna is the car for you. The Odyssey has a MSRP of $28,975, while the Sienna starts at $28,600. While the $325 may not seem like a lot, the new Sienna will save you money in the initial purchase and is the better value of the two vehicles. 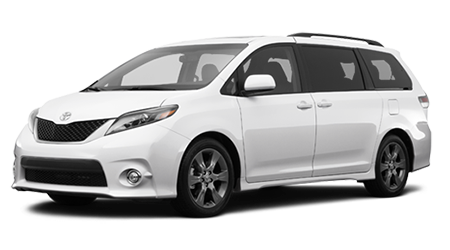 With the Sienna’s ability to carry up to eight passengers with ease, you’ll want to use the vehicle on a regular basis. Toyota crammed the minivan with an extensive warranty to give you the confidence to enjoy driving the vehicle. Both the Sienna and Odyssey come with a 3-yr./36,000-mile basic warranty, as well as a 5-yr./60,000-mile powertrain warranty. However, the Sienna also comes with 2-yr./25,000-miles of free maintenance, which is not included on the Odyssey. If you’ve been looking to get into a new minivan that has the ability to seat eight passengers and carry all of your cargo, then check out the 2015 Toyota Sienna. For our best price on a new Toyota, visit Landers McLarty Toyota in Fayetteville, TN. We’re proud to be one of the state’s premier Toyota dealerships and carries all of the latest vehicles for you to explore. Stop by Landers McLarty Toyota at 2970 Huntsville Highway and discover the new Sienna today.